I enjoyed the Harry Potter films, but after watching the final one, I thought of something that has been bothering me for the whole series. 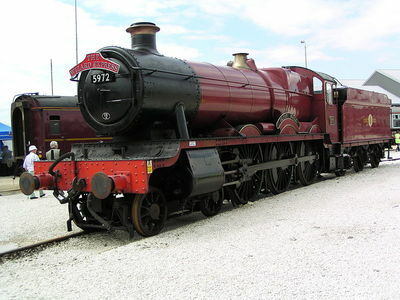 If Hogwarts is in Scotland, then why do all the children (even the Scottish ones) seem to get on the train in London? It's an awfully long journey all the way down to London and then back again. Or is it just some children who get on at Platform 9 and 3/4? Does the train make stops on the way? Or do their parents use a magical method to get to London because there's some mystical reason they need to get to Hogwarts all together? I'll admit, this is not probably not the most unrealistic thing about the Harry Potter universe, but still, I'd like to know. You know, this has been a question bugging me for the last several months. The answer is, I just don't know. 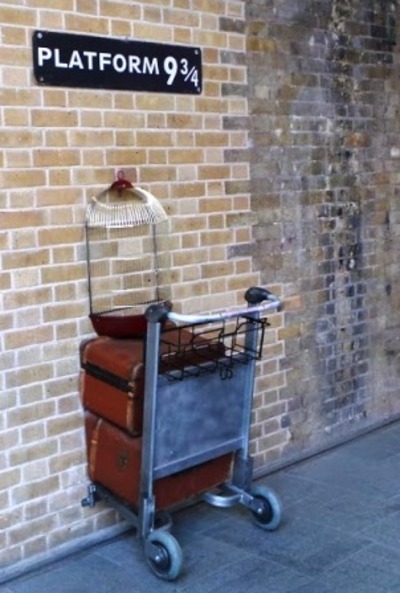 I have just been considering it, and students probably use floo powder to get to The Leaky Cauldron, and then go to King's Cross from there, so it wouldn't be a long journey to get to London. It would be sensible for students in Wales, Ireland and England to go to King's Cross, but it still seems silly for students in Scotland to go that way. Perhaps they just travel to Hogsmeade station and meet up with their school mates when the Hogwarts Express arrives. I've never thought about it before. But yes, it seems odd. Definitely a plot hole! Here's my theory: Hogwarts is protected by a huge amount of different magical protections. Because of this, I deduce that there are only specific ways you can enter Hogwarts, and for those who don't yet understand magic, the safest way is by magical train. That's my take.